Volunteer consultants are needed to work in our microfinance programme. This volunteer development project is run by Projects Abroad. Our aim is to help entrepreneurs and small businesses in Tanzania. You will help set up, assess and manage various projects for our clients and stakeholders. Many of these businesses need advice in areas such as diversifying their products, market stall placement and sharing resources. We need help to develop our services and reach a wider range of people. 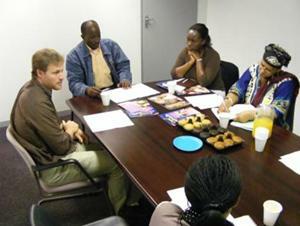 Your expertise as a business consultant will be of huge value to the microfinance programme. It will benefit many by increasing the productivity of each project and so improve the value of each project to the client. How can volunteer business consultants help in Tanzania? As a trained experienced business consultant, with experience or an interest in microfinance, you will provide much needed support to the programme. You will begin working within the communities at the start-up stage of each project, and help manage and assess each project as it develops. You will ensure each client has the correct training and support in order to manage their projects. You will develop workshops and training sessions on various aspects of business management. You will also build in strategies for project sustainability. We also require you to assess the programme overall and help develop the programme so we can support more clients, and to improve the programmes efficiency and effectiveness in it’s every day running of the microfinance projects. You will work from 18-35 hours a week - and sometimes out of hours - depending on the individual project and how you develop your role with your project supervisor. You will work closely with the loan officer and other volunteers working on the programme. If you have at least a Bachelors Degree in Business Management or a related subject then you will be suited for this project. Ideally, a qualified Business Consultant would also possess at least two years’ experience of practicing professionally. If you are interested in this project but don’t have the relevant experience, then please read about our regular Micro-finance projects in Tanzania.